When selecting materials, one important criterion educators should consider is the instructional model on which the material is based. 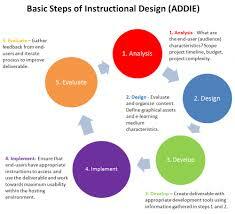 Resources should mirror and support the model the district uses or else instruction may become disjointed. Over the next few months, Learning List’s blog will discuss the instructional models most frequently implemented in the products we review. Our discussion will seek to highlight the key attributes of each model and clarify where a particular model may or may not be an appropriate structure for content. Learning List has reviewed more than 1,000 instructional materials in the four core content areas and Technology Applications. In the process of our reviews, we have become familiar with products that incorporate a variety of instructional models. We’ve reviewed products that organize instruction using well-known models, such as 5E, Universal Design, and Understanding by Design (UbD), as well as lesser known models targeted to particular subject areas and specific learning needs. Generally speaking, each model presents a recognizable structure that seeks to order content in a way that supports engagement and helps students make sense of what they are learning. Models compress the learning cycle into a predictable set of routines that may be effectively implemented in classroom schedules at the elementary, middle, and/or high school levels. Each model provides an underlying framework for instruction that provides consistency and coherence within and across grade levels, structuring learning experiences in ways that enable teachers to plan effective lessons and allow students to purposefully explore content.